MIPs have been used for pathogen detection. If the MIP is conjugated to a magnetic particle it can be used as a dynamic target capture tool. If the MIP is conjugated to a quantum dot it can be a rapid optical diagnostic tool. When the MIP is loaded with a drug it can be a novel drug delivery system. A MIP can be created for any target molecule, and many of these chemical binding interactions between the target and the MIP are pH-dependent. This makes the MIP an interesting tool for drug delivery. Recently, MIPs were created for the target molecule vancomycin. Vancomycin is an antibiotic that effectively combats the bacteria Staphylococcus aureus. The kinetics of vancomycin release from the MIP at varying pH was examined along with antibacterial effectiveness of the vancomycin-loaded MIPs in S. aureus cultures. The MIPs were formed around vancomycin targets and then the vancomycin was removed from the templates. The templates were then loaded with new vancomycin antibiotic and tested for release kinetics in solutions of pH 5.2, .4, and 7.4. The MIPs demonstrated controlled release curves for all three pH solutions, but the greatest overall release occurred at the acidic pH 5.2. The drug released faster at early stages in the experiment. The vancomycin was completely released from the MIPs after 18 days. Additionally, when these vancomycin-loaded MIPs were added to a S. aureus culture they significantly suppressed the growth of the bacteria. This work indicates that molecularly imprinted polymers could be an effective system for the controlled release of antibiotics. 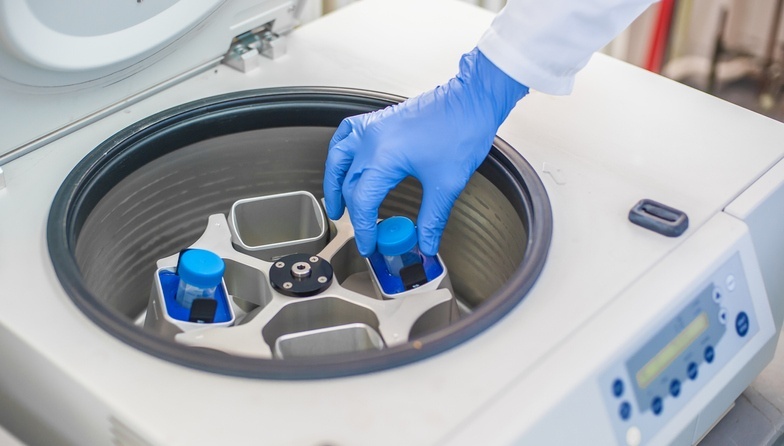 There are many methods for enriching or isolating specific cell populations for culture, but one of the most basic and inexpensive is the use of gradient centrifugation. Gradient centrifugation separates cells from a heterogeneous population based on size and density with the aid of a gradient resin in a centrifuge column; the cells navigate through the resin according to their size and density. Gradient centrifugation is a rough method for cell enrichment. Further methods such as flow cytometry enable cell population enrichment based on unique combinations of surface proteins. In the last decade or so we have come to understand that cells don’t always grow well on flat polystyrene culture dishes or flasks. In fact, some cell types are so sensitive to the three-dimensional surface that their morphology will change accordingly. With this in mind, some scientists have been creating molecularly imprinted surfaces on which to seed cells. One idea is to imprint adhesion molecules into the polymer. Then, when the cells are applied to the surface they will find pre-existing “pockets” in the surface to adhere to. One can imagine all of the possibilities for directing the microenvironment for cellular growth in culture systems to enable the progress of basic science.